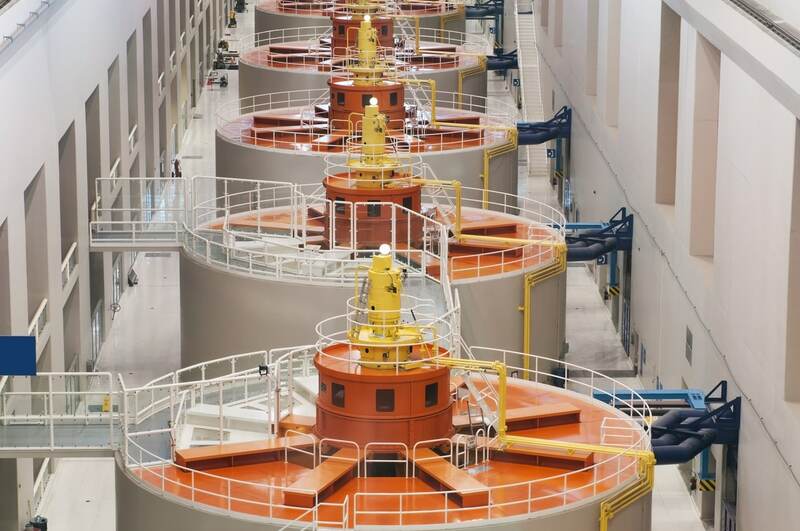 Babbitt bearings used in Hydroelectric power plants are typically of high dimensions. Since more than 30 years, YOU Industrie has developed a unique know-how in high-dimension centrifugal babbitting for new built as well as for repairs. On a regular basis, YOU Industrie proceeds to centrifugal repairs of babbitt bearing in 4 quarters with bore diameter exceeding 1200mm. One of our biggest-size production is a babbitt bearing of outer diameter 2150mm, bore diameter 1700mm, weighing 12 tons for an hydroelectric power plant in Switzerland.